Struggling with your child’s behavior? Sometimes it’s hard to tell if you’re guilty of spoiling. 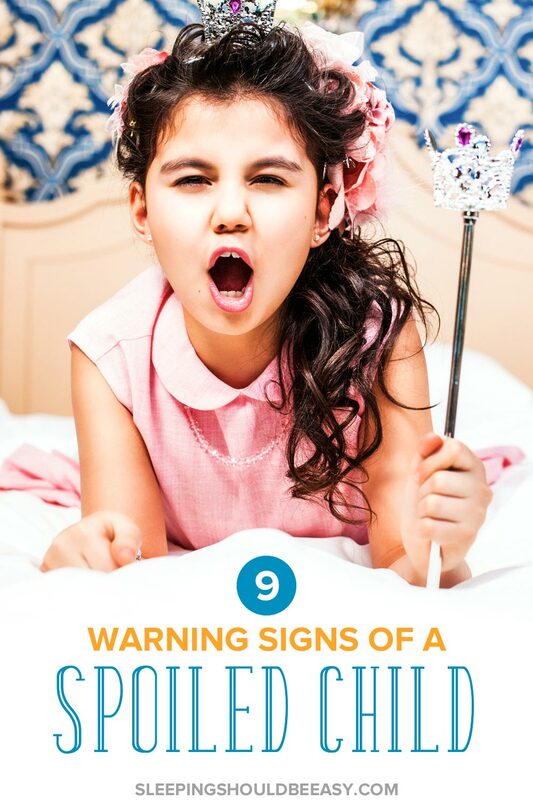 Here are 9 warning signs you have spoiled kids. It can start off as the occasional whining. He wants to stay longer at the park or get a new superhero figure (never mind the many others sitting in a box at home). Then it escalates to throwing a fit when you try to tell him no, or outright disobeying on purpose when he gets upset. He might even begin to demand which restaurant to eat this week, all without showing gratitude when you agree to go. No parent intentionally sets out to spoil their kids. Maybe you want to provide financial comforts you never had, or a busy work schedule makes you feel guilty for not spending enough time with your kids. Giving in seems much easier than putting your foot down, especially when you’re exhausted. But taken too far, and you might realize you’ve got a bigger problem on your hands than you anticipated. You’ve always wanted your child to be polite, listen most of the time, and be kind to others. Instead, you feel like you have no control over your child any longer. If you can relate, rest assured you’re not the only parent struggling with her child’s behavior. 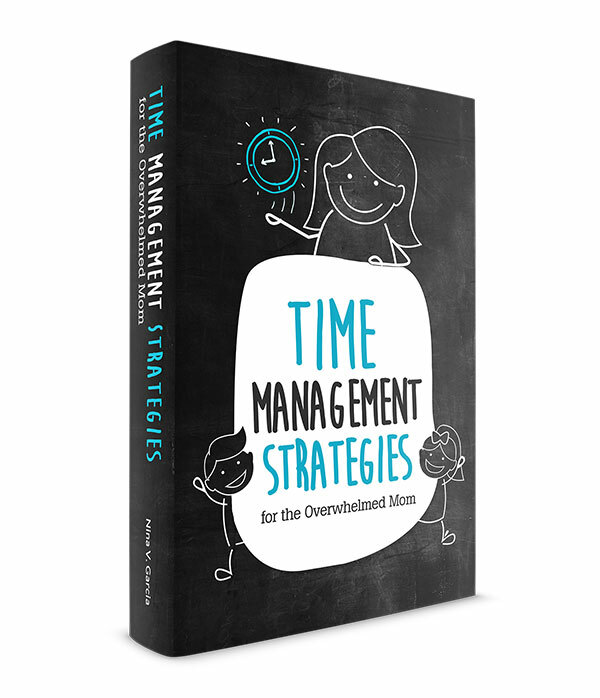 Many others have realized that typical time outs and counting to three don’t have the effect they used to. Except sometimes it’s not always so easy to determine whether you’re spoiling your child or not. How do you know if his behavior is normal for his age, or if it’s a sign of serious issues you’ve overlooked? 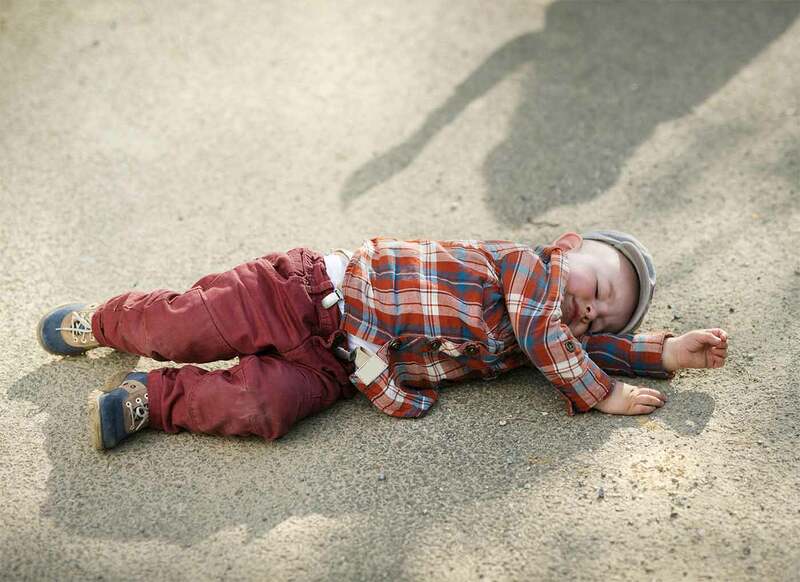 Have you had one of those days where you’re just too tired to be on your A-game in parenting? Maybe you just came home from a long, I-had-to-skip-lunch-and-now-I’m-hungry day at work. Or you’re not in the mood to deal with yet another tantrum about eating a snack 30 minutes before dinner. Other times, you’re driven by the desire to make her happy. Tossing in a toy into the shopping cart doesn’t seem like much harm done, especially when you can afford it easily. Except giving in to your child’s every request actually goes against putting her best interests first. This teaches her that she can get anything she wants, an unrealistic expectation not only from you but from others she’ll meet in the real world. She might even learn that she only needs to whine, pout or otherwise throw a fit and make another person uncomfortable enough to cave in to her wishes. This isn’t a healthy way to begin friendships and relationships. She won’t learn how to listen to another person’s point of view or understand the logic and reason behind decisions. Instead, her focus is only on her wants. Giving in to every request doesn’t establish the boundaries your child needs. She may look like she wants you to cave in, but deep within, she truly wants a parent who can stand up to her tantrums and remain strong and consistent. I had no intention of skipping swim class just because they were goofing around, and I also wasn’t planning on throwing away any toys. So why did I say those things then? Often, we’re exasperated and react instead of pausing to see whether this is even the most effective or respectful way to speak to our kids. Other times, we feel threatened when they don’t listen and try to up the ante by saying something extreme. And sometimes, it just seems like nothing else will get through to them. But empty threats hold no value. We usually say them when we’ve reached our limits or are too tired to think properly, so we’re barking threats and orders. We don’t consider their point of view or how we might be making the situation worse. Second, empty threats might work the first or second time before kids call our bluff. It was likely not the first time the little boy’s grandmother had made grand claims, only to fail to follow through. And finally, steer away from the kind of relationship that relies on empty threats to get anything done. Focus instead on mutual respect and communication, not commanding orders when possible. Get more tips about avoiding empty threats. Despite their demands, kids want consistency, especially with enforcing consequences and establishing expectations. We can’t tell our kids to stop jumping in the living room when just yesterday we created an obstacle course using couch cushions and pillows. And we have to consistently address the times they hit or tease their siblings instead of only when we’re in the mood. You see, it’s unfair to expect your child to know what to do when you’ve been inconsistent. He gets confused when his responsibilities aren’t clear, or if you don’t always follow through with consequences. Plus, being too lenient can make him feel anxious of the rules that seem to flip flop all the time. With no expectations in place, he doesn’t learn how you want him to behave, or what’s acceptable or expected from him. Be consistent as much as possible, even if it means upsetting your child or dealing with a meltdown. You can be flexible and “pick your battles”—after all, we need to accommodate life’s inconsistencies as well. But let those be the exceptions, not the norm. Because despite what he says, he needs you to remain consistent to guide his behavior. Learn why you need to follow through with consequences. No parent wants to see her child deal with difficult emotions and experience, but sometimes we take it too far. We can be so hung up on pleasing our kids that we’ll try to shield them from disappointment and boredom. Or we want them to be happy and struggle with seeing them hurt or upset. And sometimes we’d rather cave in that let them have a meltdown. So we give them toys when they’re bored, or reassure them they’re still the best even though they lost a competition. And when their ice cream cone falls to the ground? We’d rather walk all the way to store and get another one than see them throw a fit. Even with the best of intentions, shielding kids from difficult emotions does a greater disservice to them. Protected from difficulties, your child can’t learn from these experiences or develop the coping skills to bounce back. Instead, she’ll have a hard time dealing with moments like these and learns to avoid—rather than deal with—them. And perhaps the worst consequence? She begins to lack faith in herself that she’s strong and resilient enough to get through these challenges. She’ll doubt how she’ll ever get through them when she’s never had to before. Life has ups and downs. Rather than trying to protect your child from inevitable difficulties in life, show her how to cope. And explain that all emotions come and go, including difficult ones she’ll get through. “Thank you! You have an amazing look at those frustrating situations we as mothers deal with. You help me find some way out of the yelling game I seem to always find myself in with my kids.” -Kristy S.
We all want the best for our kids, from experiences we never had to a lifestyle we want them to enjoy. Maybe you want her to stay current with trends her peers rave about, or you figure you can afford to provide with no problems. You likely even enjoy the process of giving gifts and relish in their reaction and joy. But taken too far, overindulging with material items can be one of the telltale signs of spoiled kids. An excess of items can prevent your child from appreciating what she has. With so many things to choose from and an endless supply, she isn’t able to practice gratitude. After all, it’s pretty hard to cherish one special stuffed animal when 50 others are piled in her room. Giving too many things also raises unrealistic expectations. Finding joy from “external” sources like lavish gifts and experiences forces you to up the ante when the initial buzz fizzles away. Your child might expect these gifts as the norm than the exception. And finally, you risk tying your child’s joy with receiving gifts and not to the relationships and simple pleasures that matter most. You focus on the item rather than the thought behind it. Read the downsides of having too many toys. Getting out of the house isn’t always easy for many parents. Your child might resist putting on his shoes, or takes his good ol’ time coming to the door. Whining and complaining have been more common, and sometimes you find yourself taking a whole hour to leave the door. It’s tempting to lure him into compliance with a minor bribe: “Hurry and put on your shoes, and we’ll get ice cream at the store,” you might say. You’re too tired to deal with yet another hour-long power struggle, especially when nothing else seems to work. Plus, bribes can feel like an effective way to motivate kids beyond ice cream—grades and chores seem to improve and get done with these rewards. But bribes are a short-term solution that can backfire. As bribes become the norm, your child will begin to expect better rewards before agreeing to do the task. Motivation wanes with each time you need to convince him to agree to the bribe. he’ll feel proud of himself. And finally, bribes don’t nurture a sense of goodwill or instill the values you want to teach. Helping you clean the living room should be the right thing to do, even without a bribe. Read more about why rewards don’t work well. Manners can be easily overlooked, especially if we’re bogged down with monitor our kids’ behavior. Who can think to remind her kids to say “please” and “thank you” when we’re barely trying to get them to finish their lunch already? Truth is, manners and behavior go hand in hand. Manners isn’t about raising goody two-shoes or robotic children for show. For instance, saying “please” and “thank you” instills a sense of gratitude, while “sorry” offers a way for your child to show remorse. Manners go beyond saying the “magic words,” too. Teaching courtesy means your child doesn’t always run to be the first in line or hog all the food at a party. He knows that being silly and loud isn’t appropriate when his little sister is crying. And he understands he can’t always get what he demands. Get more tips about encouraging gratitude. You may have seen it: The boy who speaks rudely to his mom as she helps him with homework. The girl who insults and almost terrorizes her parents. Talking back and being rude are some of the biggest signs you’re raising spoiled kids. Here’s the thing: kids almost always have valid reasons for being upset. Maybe the mom had been badgering her son about homework without letting up. The girl may be going through changes at home that are making it hard to express her frustration calmly. But it’s unfair to kids to allow them to speak to parents that way. For one thing, kids don’t learn a better way to communicate. However valid their reasons may be, they’re not held accountable or shown how to communicate calmly. Disrespect and talking back also creates a rift in the parent-child relationship. It’s much harder to have any influence on your child when he can speak rudely to you. He also doesn’t have any boundaries and may likely continue to push your buttons until you explode. The lack of boundaries also sets him up to insult others in ways he never knew he wasn’t supposed to. And finally, allowing your child to disrespect you doesn’t model how a person ought to be treated. As parents, we need to respect ourselves enough to demand a certain way to be spoken to. Kids can definitely disagree with us, but they should do so respectfully, as we would to them. Learn how to stop your child from talking back. Does your child decide you’re going to eat at her favorite restaurant… again? Giving your child choices is healthy, so long as the options are parent-approved and child-appropriate. You can ask him to choose between two sweaters to wear, but not to have the final say in clothes he wears. While taking his opinion into which restaurant to eat is fine, doing so too often gives him too much control. You especially shouldn’t have to bow to his pleading and whining. Why? It’s not his place to make all the decisions—that’s your responsibility. In fact, giving him decision-making power is far from helping him feel empowered. Instead, he’ll feel burdened with a responsibility that shouldn’t have fallen on his shoulders in the first place. Kids also don’t have the family’s best interests in mind when making decisions. If it were up to them, many kids would prefer to eat fast food and ice cream every day, a choice that wouldn’t sit well with their health. See why giving kids too many choices isn’t the way to go. Giving in to children’s demands and whining is the easy way out. We avoid feeling embarrassed by their outbursts or guilty for not spending enough time with them. We’d rather not disappoint them, especially when it seems simple enough to buy that new toy or give her what she wants. Spoiling is the quick fix-it that seems to solve the problem now. But in doing so, we deny kids lifelong lessons, such as how to develop grit, cope with disappointment and show empathy to others. Our job isn’t to stop tantrums or whining—it’s to raise future adults ready to face a world that won’t always bend to their whims. After all, kids want their parents to be parents. We’re not doing them any favors by being anything else. Are you beginning to realize just how important it is to know how to respond to your child’s challenging behavior? 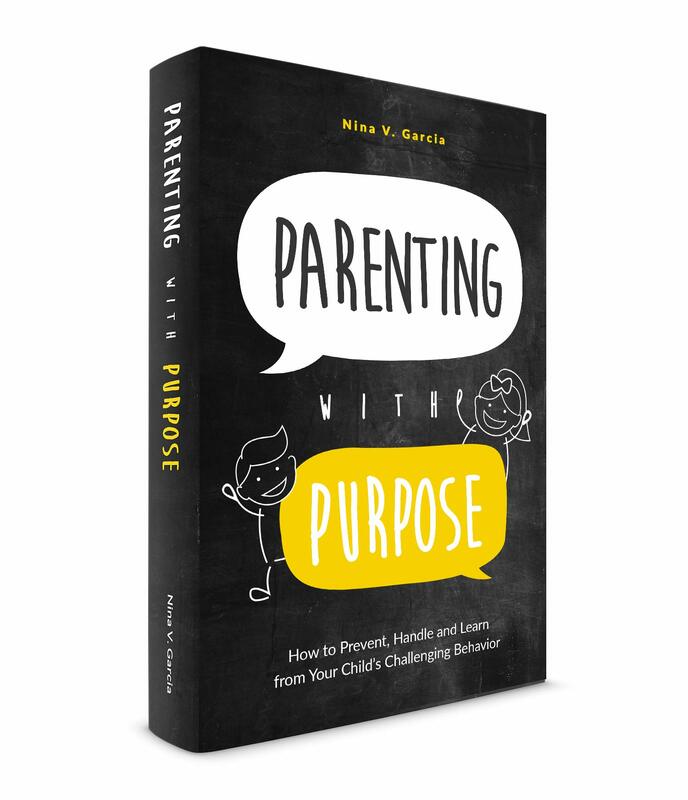 In my ebook, Parenting with Purpose, you’ll discover how to prevent outbursts and handle meltdowns in a purposeful way. 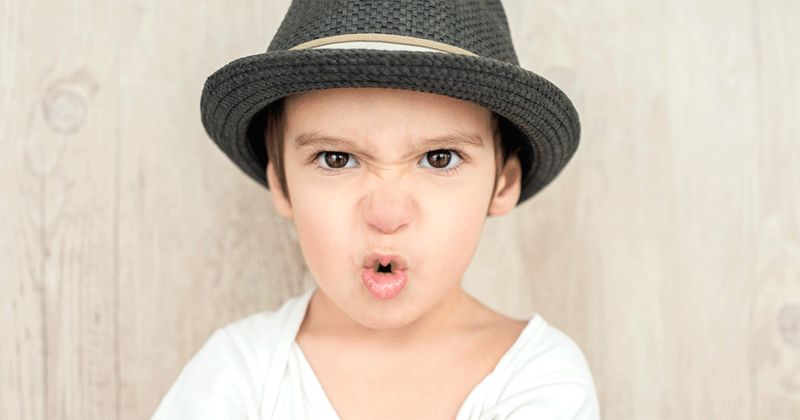 Did you like this article on the warning signs you’re raising spoiled kids? Share it on Facebook and Pinterest! 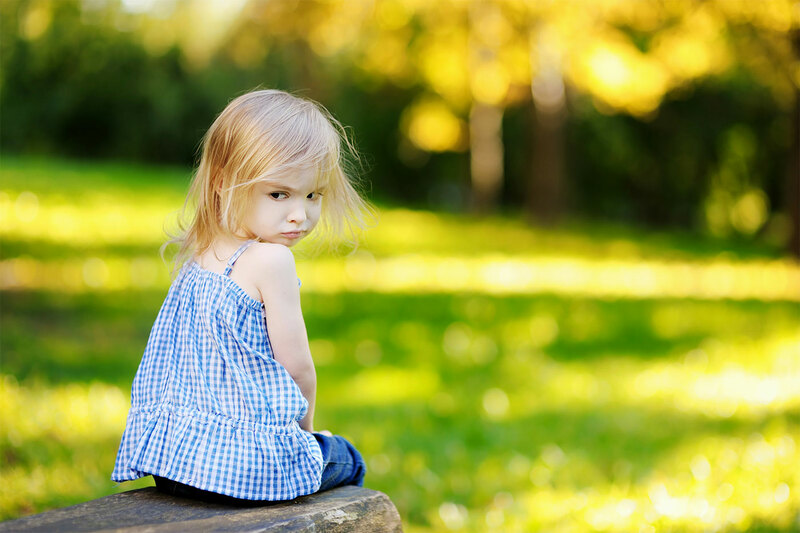 Struggling with your child's behavior and getting her to listen? 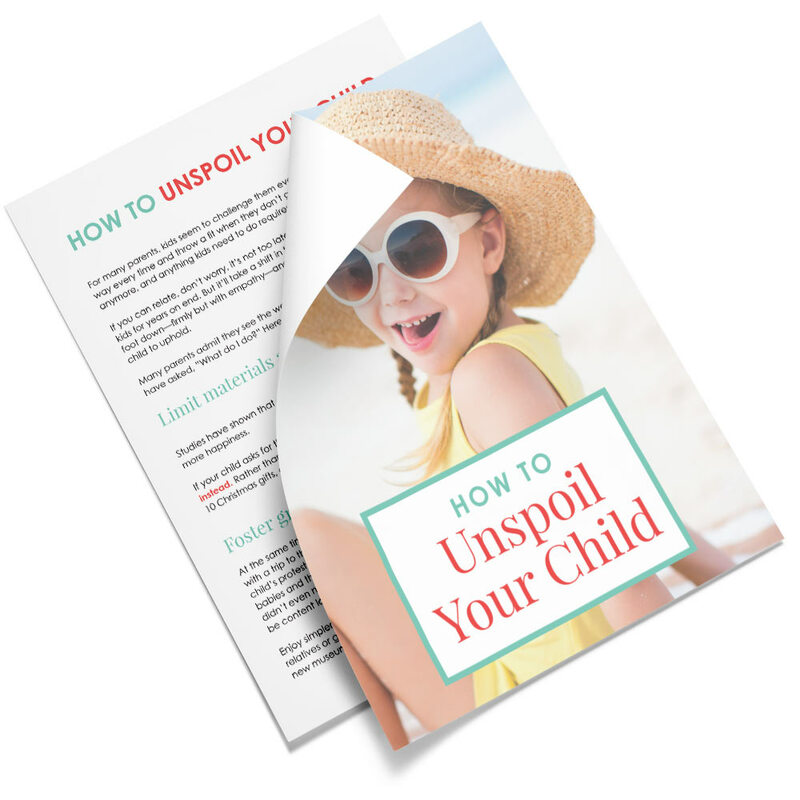 Join my newsletter and get my PDF, How to Unspoil Your Child! It's never too late to turn things around. Learn how to discipline without power struggles, follow through with consequences, teach gratitude, and so much more. The not interrupting one is tough in our house. I have three girls! They all want to talk at once! Betsy I was just talking to another mom about #8 and how difficult it can be! I think I’ll have to experience this first hand when my twins start talking and I have to deal with THREE speaking children as well. This is what I did with my son from day 1. Manners were and still are of the utmost importance. If I was having a discussion with someone and he would interven… ” “mom, mom, mom” I would only turn my attention to him if he politely said, ” excuse me” other than that, I didn’t give him the opportunity to speak. The rule was very black and white, as were all of the household rules. Maybe try that? That’s a great idea, Estelle. These days I’ve been holding up my hand or a finger so they know I’m still talking or listening to someone. Sometimes I have to flat out say, “I’m talking to…” not in a mean way, but literally to just wait until I’m finished talking or listening to someone else. And of course, I give him the same respect when I’m talking or listening to him—I don’t let others interrupt that as well. Oh boy– YES! This is everywhere. It’s like an epidemic. Nina (love the name! ), I hope not but unfortunately I DO see it from time to time. I love this post!! If we coddle the children too much now, they will expect to be coddled as an adult. We have to let children learn what it means to survive independently the REAL world. Otherwise they will grow up into entitled adults with little self discipline. Thanks, Angela! completely agree with you. Spoiled kids unfortunately become spoiled adults. I love this post and this blog for that matter. You’re posting things that all parents need to be reminded of and today’s parents need to hear. Good Job! I have a strong willed child in my home and I posted just a little story of an interaction that we had this week. It’s kind of funny. If you’re in my neighborhood check it out. Thanks for the great post!!!! I’ve struggled with all of these in my day. It can also be difficult when you and your spouse are not on the same page… As I look back, I think I would have tried harder to be more consistent. Yup Seana, being on the same page is HUGE. I’m sure my husband and I have differences in parenting that have led to disaster, so it’s definitely a good idea to communicate so there are consistent rules. Oh my goodness! Im super guilty of 98% of the above. I knew what the answer to the title was before I even started to read. Unfortunately, due to many reasons including overly strict parents, I’m tending to swing to the opposite side of the scale. I also am not disciplined in my own life making it hard to teach that very important quality. Still, the fact that you’re aware of it means you can change how you interact with your child. Try doing the opposite of this list! And start small, or one at a time, so it’s not overwhelming. The big eye-opener for me, when it came to setting boundaries with our kids, is that they actually NEED them. Through all their whining and yelling and talking back, that’s just them saying they need limits. Imagine a backyard. You have fences around your hard, and that’s you putting your foot down and setting boundaries. The fences are up so that your child is safe and healthy, but the fences also provide enough room for her to explore, play and be himself. It’s a balance of not having your fences too close and restricting, but not too far or nonexistent that your child wouldn’t know where to stop. Hi Claire, I feel you, especially with the eldest setting the precedent for her siblings. I encourage you to keep reading up about parenting, not necessarily the ‘discipline’ part but also about connecting with kids, having a do-over (it’s never too late!) and generally building a strong relationship with each of your kids. It’s definitely hard to have reached your point! Maybe instead of being aggressive or threatening, you can hold your ground, connect with your child and empathize. Thanks so much for commenting on my blog. I’ve raised a spoiled 13 year old. How do i correct the damage that I’ve created? Everything you mentioned has come true with us. I know it’s my fault but I was only trying to make him happy. I just want him to be able to cope with life. Please help. Hi Tracy, thanks for your comment and for visiting my blog. I think that our job isn’t always to make our kids happy or to save them from discomfort, but rather to raise future adults. You’re doing the best you can, and it’s never too late to turn it around. Connect with your child, find ways to hold your ground in a nurturing way. My cousin’s 11 year old is so spoiled. He is a gifted student, and professional actor/model. He controls his grandmother’s and mother’s household. I’m an elementary school teacher and I’m concerned as he enters 6th grade /middle-school how he will function among peers. Loved all your ideas; however, #6….not only for the reasons you already enumerated, but because they are part of a family and everyone should contribute to household chores. Not just cleaning their rooms, but age appropriate chores for everyone. How else will children learn to take care of themselves when they move out? Absolutely, Linda Sue! I actually wrote a post recently on getting kids to clean up, and that was a huge reason: it teaches them contribution and pitching in to the family unit. And there’s always a chore for each kid, toddler and upward. Even something as simple as putting clothes in a hamper. We gave our kids permission to discuss/argue so that they learn to form their own opinions about stuff. Now that they’re going into the teen years (13 & 10), we don’t think that the idea’s so hot anymore because they want to argue about anything and everything. Any advise? Sorry to hear that! It’s always tough when your intentions get messed up over the years. I wrote a post a while back about something similar—some parents who give their kids choices as a way to empower them and help ease transitions end up overdoing it. Then the kids, rather than using choices as a way to feel included, instead expect and demand them from having been offered it so many times. I imagine the same is happening with your kids regarding debating family rules. At this point, I would define what is negotiable and what is not, and put your foot down on what is not. Your kids, regardless of what they say, *need* boundaries and for you to tell them what is allowed and what isn’t. And most importantly, follow through with logical consequences. That’s the only way they’ll learn for next time. Aim for consistency with flexibility. Obviously you don’t want to be a tyrant and go the opposite extreme and get down on them too hard. You really want to parent kindly but firmly, with their best interest always in mind. Very true. It’s so hard to say NO sometimes, but you have to do it. Yup Sheryl—boundaries are definitely important for kids! I made a lot of these mistakes. In the moment, giving in can feel like the only way to end the controversy. I’ve read that the ability to delay our own gratification is a secret to happiness, so worth trying to achieve! Yup Seana, I’ve heard so many reports saying the same benefits about delaying gratification. Such an important skill to have, well into adulthood! Great article. Being a young mother I see these things a lot from other parents. People seem down right shocked at how well behaved my kids are when we go anywhere. I think the problem is that most people are to lazy to really do any parenting anymore. It’s easier to just give in. God knows most days that is what I want to do as well, but I don’t because I want the best for my kids. And in the long run setting boundaries when they are young makes it easier as they get older. Yeah its hard to see your kid upset when they are little, and their tantrums can even be cute at times. But it isnt cute at 13 or 15 or 20 ect. Most people seem to think there is a switch that is going to flip one day and your kid is just going to understand everything but that isn’t the case. If you don’t teach them they won’t learn. Dont be your childs friend. Too many parents aim to please…should be and was other way arounf. Dont be your childs friend. Too many parents aim to please…should be and was other way around. That’s so true, Chris. Kids are generally wired to want to please their parents, and we should use that in their best interest! I’m so sorry to hear that, Tina. It sounds like your daughter can definitely use all the support she can get from friends and family to help her put her foot down with her children. I’m so glad the article offered you useful advice! We are busy blaming parents for kids being spoiled. What about other relatives? My kids have grandparents who spoil them. They come home and I have to battle them. I am stuck at least it is now only every few weeks we deal with them but the first week home omg. I spend the first week reminding them how to behave. I am a middle schooler with an eight year old brother. He throws fits when he does his (Very easy.) homework. He also refuses to say please. (How can one word get me stuff, he says.) And this one time, he hit me in the face and got away with it. As if that wasn’t bad enough, later that day, I wrote a word (IN PENCIL! AND IT WAS A PERFECTLY RESPECTFUL WORD TOO!) on his poster, and Mom and Dad were MAD! I am sick and tired of this and don’t know what to do. PLEASE HELP!!!!!!!!!!!!!!!!!! Hello dear Gina. As always your article is very enlightening! Something else that I find can spoil a child is letting them do nothing at home on their own. 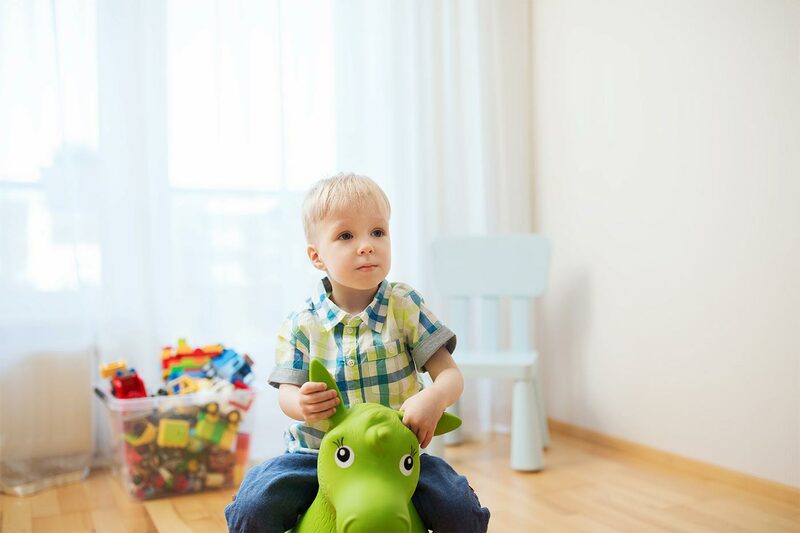 Dressing them up in order to be on time to leave or doing everything at home instead of letting them try doing some chores in order to avoid mistakes can make a child want everything done by others. You’re completely right, Rosa! Just today, I had to hold myself back from buttoning my son’s coat for him just so we can get out of the house quicker, but thankfully he insisted, and I knew it was better to let him do it himself. Not only does he learn the value of making mistakes and trying over and over, he also learns to do things for himself. Thanks for the insight! Hi, this article has really helped me, but I still need some advice. I’m staying over at my 10 yr old cousin’s house for 2 weeks, and he is beyondblue spoilt. No kids ever really like him, he screams constantly and displays all of these symptoms. I can’t exactly says anything to my Aunty or Uncle, because I’m their guest. He’s horrible to me, but I try to be nice to him anyway. His parents aren’t not aware, as all the adults believe he is so cute when he is being extremely rude to everyone, including openly hating a baby for disturbing his round of Mario cart. WWhat do I do? It’s nearly the end of my visit, but every once in a while, he comes over to ours for a few weeks, and whenever I try to speak to him about his rudeness, my parents become mad at me for telling a little child off. My grandaughter who’s 2, always wants to be held and wakes up in the middle of the night in horror. After she’s held and with an adult she’s fine and goes back to sleep. Is this something wrong that needs to be checked by a psychologist or is just a behavior? Her mother isn’t consistently in her life and has addiction problems… PLEASE HELP ME!!! I’m so sorry that your granddaughter is going through this. I would see what her pediatrician recommends, especially since her mother’s addiction could be affecting her. What do I do when its my sister child who is 3 and he yells n shouts when he doesn’t wanna share toys.. When its not even his its my daughters who’s 1 years old. My daughter just stands there she doesn’t understand. But it upsets me cause he is telling us no.. And everyone else babies him. In my home how do I handle it? You’re definitely not alone, Meg. It’s hard to respond when it’s not our kids who are misbehaving. I’m not a fan of disciplining other people’s children, but that doesn’t mean I just let it go on. Perhaps you can move your daughter if she’s starting to get upset, or find a toy that she can play with. At the end of the day, he’s not going home with the toys, so her belongings are “safe,” but during the play time, don’t force him to share if he’s not ready to, and instead focus on playing with your daughter in a fun way. Continue to nurture and raise your daughter in ways you feel are right, even if you don’t agree with how your family raises your nephew. It’s definitely a balance! Kids definitely benefit from consistency and boundaries, while at the same time offering warmth. I’m raising my grandson and there are times in the car that while my husband is driving he wants me to hold his hand on our way to daycare. He’s only 20 months old. He cries for me to hold his hand. Is that spoiling him? Some people say yes and some say no. It’s not giving him candy or a toy. It’s just giving my attention. I really want to do the right thing. Hi Michelle! Just from what you described, I don’t think you’re spoiling him. That said, if anything in the situation is getting out of hand, for instance, it’s uncomfortable for you to turn around and hold his hand, or this requires you to sit in the back seat, then I would think of a different way to respond. I do believe that we should never withhold our love or affection as a way of punishing kids, but there may be other ways to communicate the same love without the specific behavior of needing to hold his hand if it’s causing you a problem. Maybe you can give him a special grandma hug and kiss before sitting him in the car seat, or hand him a special blankie from grandma that he can hold while on the car ride. His crying likely started the first few days of preschool because of a valid reason: he was scared of going, and you holding his hand gave him that reassurance that all is well. If you feel he’s still anxious about school, I would talk about that more than holding his hand. If he seems fine now and is crying for your hand because it’s all he’s known to do during these car drives, then I would focus more on giving him other options to feel confident about going to school like I described above. I married a woman that was clearly spoiled when she was a child. Her father gave her everything and never let her experience life. I fell into the same trap. Now I have a grown woman that expects everything from me and if she doesn’t get it, the temper tantrum ensues. Yelling and often throwing things. I finally had enough and we of course divorced. Guess who hired the most expensive lawyers in the state. Yup, her father! Fortunately, I was able to buy my way to freedom (Many divorce laws provide for women with this same sort of life shield, often for life, at the expense of care taker). She still has not learned how to deal with life, because no one will let her. This needs to be taught early otherwise she will only figure it out later and it will be a much bigger fall, and much more pain. And think of all the people she has unknowingly tormented along the way. So sorry to hear you went through that, Brian! I hope you’re now on a more peaceful path and not having to deal with it. And yes, the habits we teach early on always grow with us into adulthood. I agree with your article and points almost in their entirety, however, buying my child everything and anything provided they work for it via chores or doing something nice that I might normally do myself hasn’t led me into many, if any spoiled child issues, provided the workload is appropriated to the reward. Perhaps a minor point, but you consistently refer to the child as a HE and though their may well be a physiological pattern between behaviour and gender(?) it does in parts read as though girls can’t be spoiled. Thanks for your comment! That’s fantastic you’ve found a balance of living a happy and abundant life without raising entitled kids. I agree that an abundant life is possible and even encourage it (lack mentality isn’t any better than a spoiled mentality! ), so long as it’s balanced and not the main driver. And as far as the gender thing, I agree I tend to write “he” because of my boys 🙂 But I try to balance out the genders as well because I know everything I write applies to girls too. My child is turning 3 soon and a good kid at heart. He loves to be around people and I’ve taught him to be polite by shaking hands, introducing himself and asking about them. I have to remind myself that he is a good child, but his behavior with me is absolutely horrendous, although I do blame myself partly. I give in to his demands because I can’t take it. It’s not just that the screams annoy me. But I haven’t been truly happy and hopeful for a few years now. I had a terrible pregnancy and my husband and I moved to a place that seems so foreign to me. I’ve tried so hard to build relationships with people since I have no family and my best friends no longer come around. It hurts because I never let distance stop me from being there for them. I feel alone, abandoned, and feel like my life is only about taking care of my family and the house. I don’t get to do the things I love anymore, see the people I love, or have peace of mind. So how do I train my child and remain consistent and patient when I have these emotions and am already feeling exhausted from my daily chores? I always believed it takes a village and I have no village. So I give into my child because I feel like every day I am coming closer and closer to having a mental breakdown where I will either explode on my child or be committed into a hospital. If I give in I will at the very least have some sort of peace. But the behavior disgusts me. So maybe my question is silly but how do I endure long enough to get the job done? Big hugs, Tati… Your little guy IS an amazing person and human being, no doubt. His behavior is likely very normal and common. What you must focus on now is your own well-being. Have you spoken to your doctor about any treatments, or your husband for support and help? Perhaps find a local moms club that meets regularly to get to know others better. We can’t be good parents to our kids when we’re not taking care of ourselves. We do a disservice to them when we’re not present, joyful, or firm when we need to set boundaries. In short, don’t think so much about “fixing” your child or his behavior. Instead, start with yourself, and the rest will trickle to your family. Literally all but 7 I do and I feel now like I’m failing as a parent when I’ve tried so hard not to fail as my mother did with me; And now I have another child on the way that I’m quite sure I’m not ready for;.! My boyfriend lost his children’s mother and his fiancé a while back. He gives into everything for his kids. They are entitled, don’t do chores, have no respect for him or anyone else, no manners, ask for things over and over until they get what they want, cry until they get it. He grounds them or punished them for like an hour and then gives in. He doesn’t see their behavior as spoiled because his children’s mother always did it that way. I can’t get him to understand. I have tried to make him enforce rules and responsibilities, as well as boundaries and accountability, but I literally have to nag him to get him to stick to it. I don’t know what to do anymore. His 13 year old has zero ability to adapt to situations and she is the most selfish and irresponsible kid I have ever met. His 8 year old is manipulative and gets everything he wants. It’s bad. He treats his kids that way, but yells at my 8 year old autistic son for not being able to control his anger or actions. The austistic child should be given into more often but I do the best I can. HELP!! Hi Kim! I can definitely see why it’s frustrating for you to see all this. I can also understand why he’d behave that way. Not only is his parenting method the example he saw with his late fiance, but I’m guessing the burden of not having their mother is making it hard for him to put his foot down. Unfortunately, because they’re not your kids, your only role is to support him in how he decides to raise them. Not only that, but we truly can’t change other people, no matter how much we nag or pressure them to. Instead, the only thing we can truly control is ourselves, including how you demand to be treated by the kids, how you raise your own son, and having an honest and real discussion with your boyfriend about your relationship and your expectations. Best of luck, Kim! I hope you find a solution that works for everyone. Unfortunately I know I Ann guilty of all of the above my 3 and half year old Being an only child and living with in laws discipline never worked. I tried but soon she knew she can get things her way cos no one wanted a scene either at home or outside. Am desperate now. Really hard to deal with hours of screaming and wailing over small things. Hi Shona! I’d start by putting your foot down and meaning what you say. Follow through with consequences, keep your word, and hold your ground so that she can start to take your word and listen. And remember, you can be kind and compassionate and still be firm—keep in mind that you have her best interest, and that it’s not about punishments or showing her who’s boss.